Welcome to HECMWorld, Reverse Mortgage Industry News, Views, and Insights. HECMWorld.com began as the “go-to” site for the “Top 100 HECM Lender’s Report” which was relied upon by thousands of reverse professionals across the country. 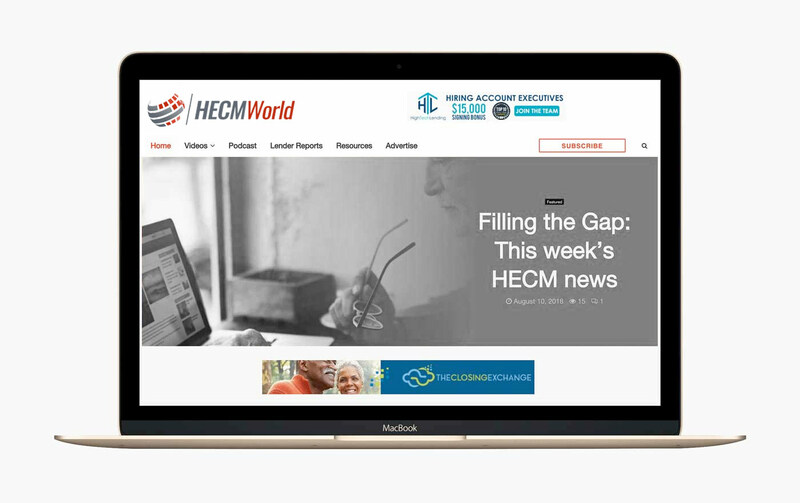 Today HECMWorld.com is THE resource for reverse mortgage lenders and financial professionals to find engaging, entertaining and educational content through commentary, short video segments, and marketplace analysis covering important topics. Our mission at HECMWorld is to empower, educate, and engage the reverse mortgage industry and seed its growth through fostering a sense of deep connection using personalized brand media and delivering authentic, relevant content.